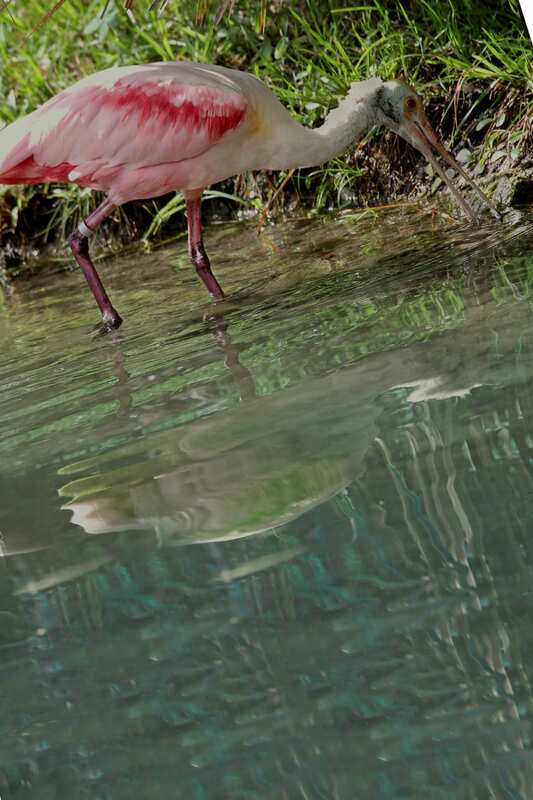 These birds are not flamingos, but are pink due to the carotenoid pigment found in the food they eat. Their name comes from the shape of their bill, which looks like a spoon. 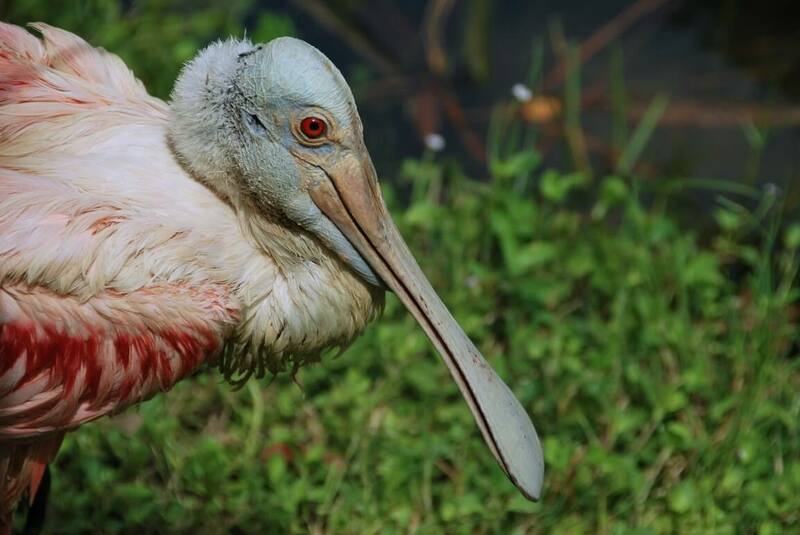 A conservation success story. 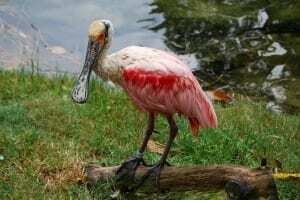 Spoonbill breeding populations were decimated in Florida at the beginning of the 20th century as their feathers were all the rage for ladies hats and fans. 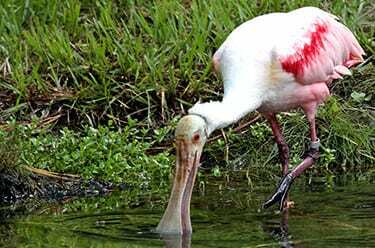 To feed, spoonbills put their bill straight down into the water and swing their head back and forth stirring up the bottom of the wetlands. 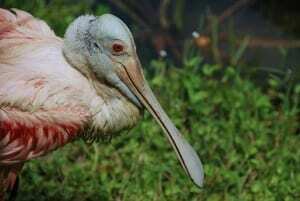 They are able to breath when their bill is in the water because their nostrils are at the top of the bill.